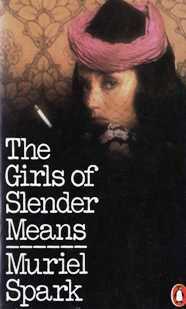 The late Carol Shields wrote an article about The Girls of Slender Means for the Guardian in 2003, where she talked about the experience of re-reading a novel she had first read when in her early twenties, and how she saw it very differently the second time around. I read the book at a similar age (22) and have to agree with her that I missed the sense of foreboding that becomes very clear on returning to the story. 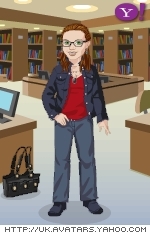 She put her reaction down to no longer trying to relate to a group of women of her own age living in an environment similar to her college experience; I’m not sure that I can articulate my own initial impressions at all after so many years. The novel begins with news of the death of Nicholas Farringdon, a priest who has been killed (martyred really) in Haiti. We are then taken back to 1945, when Nicholas became fascinated by the May of Teck Club, a residence in Kensington for young middle class women of reduced means. He becomes infatuated, and has an affair, with one of the girls, Selina, and his contact with the residents lead to the events which result in his conversion to Catholicism. In addition to Selina we meet several of the other girls, including Jane, whom we first meet ringing round the others to tell them of Nicholas’s death, and who had introduced him to the club; Joanna, a vicar’s daughter who gives elocution lessons and is often heard in the background reciting poetry; and a number of minor characters including one of my favourites, Pauline, who may be mad and spends her evenings pretending to go out to dinner with Jack Buchanan. We learn a lot about the girls lives and the things they share, including a Schiaparelli evening gown which has a key role to play. It becomes clear that Nicholas’s conversion is a direct result of the tragedy which strikes the May of Teck Club, and a particular event that he witnesses there. I remember being vaguely unsatisfied with this novel when I first read it, but coming back to it almost 25 years later it has had a more powerful impact than I had expected, and may even make it to the list of books I regularly revisit.